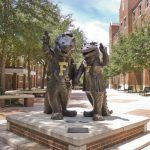 As summer comes to an end and the fall semester is on the horizon, choosing which apartments in Gainesville FL to live in can be tricky. Depending upon your budget, some may have to live further away from campus and ride the bus to and from classes. While others may choose to live steps from campus but that may come with a hefty price. Gainesville is recognized for having its high demand apartments near UF and between sorority row and midtown. So the question is, which apartment complex should you choose for fall? Arbor Lofts is perfect for game days, as it’s located a couple of blocks from the stadium and the Swamp restaurant (a Gainesville staple). It has free parking, too!Walking distance to UF classes, Library West, and Levin College of Law. These apartments in Gainesville offer Studios, 1 bedroom lofts, and 2 bedroom townhouses which are affordable and convenient. In this quiet area, you’ll love being without the congestion of traffic and still have easy access to campus and midtown nightlife. 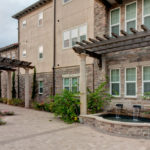 As the name suggests, these are the closest apartments near Sorority Row UF! 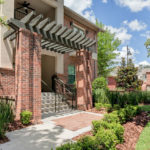 In these apartments, you’ll never miss a chapter meeting or social event because you can walk to your sorority house with ease. Many other Greek students live here, so you can network and make lasting friendships here. You’ll love the gourmet kitchens with granite countertops and elevated ceilings, with floorplans ranging from studios to 3 bedroom townhomes. University Heights is located across the street from Sorority Row. It is often occupied by early professionals due to its quietness in nature, thanks to the solid brick construction. It’s affordable and less than one mile to UF Health at Shands and the VA hospital, allowing easy access around town. Has a convenience elevator and free parking is also included. You’ll love this area for when you want to be social but also for those times when you need time away to study. UF students who like to socialize love Archstone. These midtown Gainesville apartments are close to the restaurants and bars, so it’s a short walk home after a night out. Plus, the 2 bedroom and 3 bedroom apartments at Archstone feature some really spectacular living rooms, with petrified wood floors and upscale kitchens. It’s the perfect place to pregame before going out on the town in downtown Gainesville. If you love to travel and discover new places in the world, Tuscana Apartments are built with you in mind. 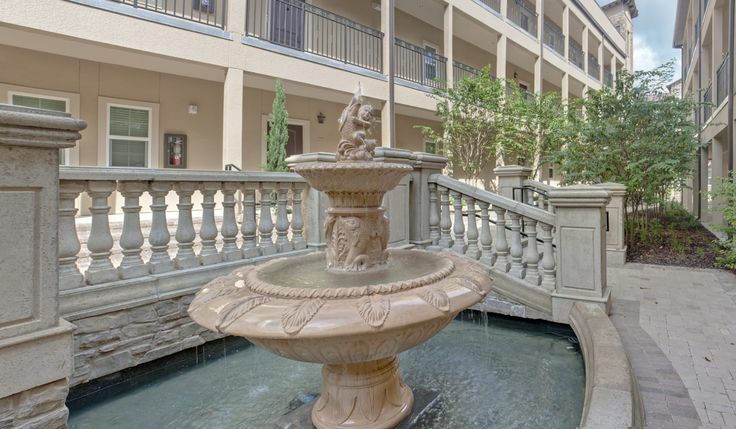 These apartments will take you to an Italian resort, located right here in Gainesville. 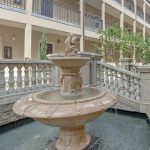 The detailed accents like clay roof tiles, stonework, stucco, an internal courtyard with trickling fountains, and a formal lawn are what makes Tuscana come to life. Incredibly rich in Italian details, many apartments have balconies or porches with swings and a charming view of the park and creek running through it. Newly built in 2015, these apartments feel like you’re on vacation in Italy, but only located a couple of blocks from campus and sorority row. Each apartment complex is as unique as you are. Searching for apartments to fit your needs can be easy if you know what type of apartment you’re looking for that’s within your budget. Be sure to check availability and pricing, but also, see what amenities are being offered. You may find you’d rather be located in a quiet complex to stay focused, as opposed to a more centrally located area that could be populated by partiers. Happy apartment hunting.